Comments: Does not grow in sun. 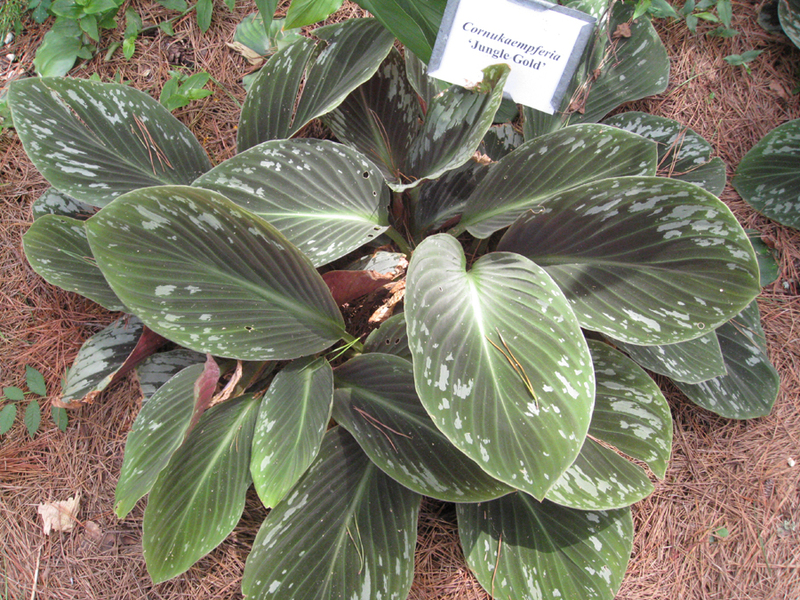 Leaves have maroon markings. Orange flowers emerge from leaf axils and are present most of the year. Previously classified as a Kaempferia, a Peacock gingers.